We love outdoor wedding receptions. Maybe it is because in South Australia, we are privy to some of the most beautiful outdoor spaces on offer. There’s the beaches, wineries and fields of the Eyre Peninsula that we call home, or the gardens, wineries, forests and funky spaces of Adelaide and the Adelaide Hills that we have come to adore each time we stumble upon them. But an outdoor reception can be hit and miss – the weather makes it difficult and you must always have a back up option. Depending on your choice of location, you also have issues to face like – where will people go to the toilet? How are the staff going to cook? What sort of seating do I need to truck in? 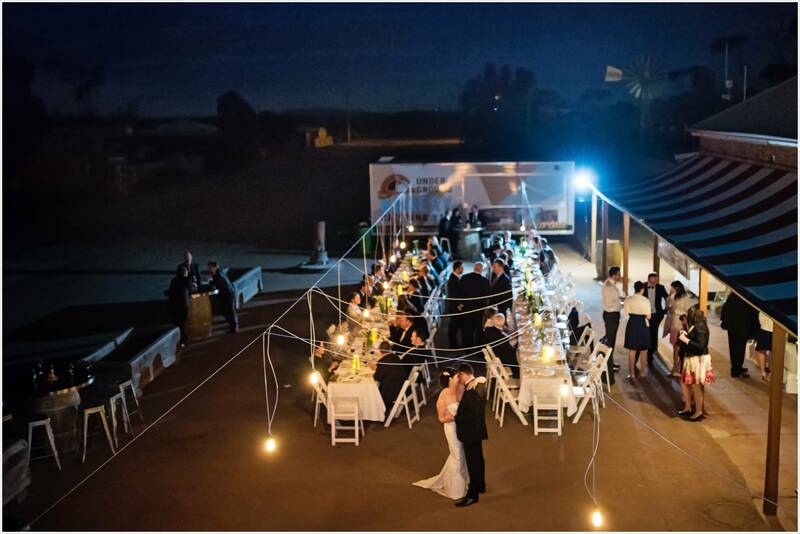 To help you out, we’ve come up with these tips for an outdoor wedding reception. 1 – Check with the council or landowner before you lock anything in! Just because you have found this fabulous public park with amenities perfect for your wedding, doesn’t mean it is open for you to hold large scale events. Do your research and avoid a last minute drama (or fine!). 2 – Have a back up plan – we know you know this. But just in case! 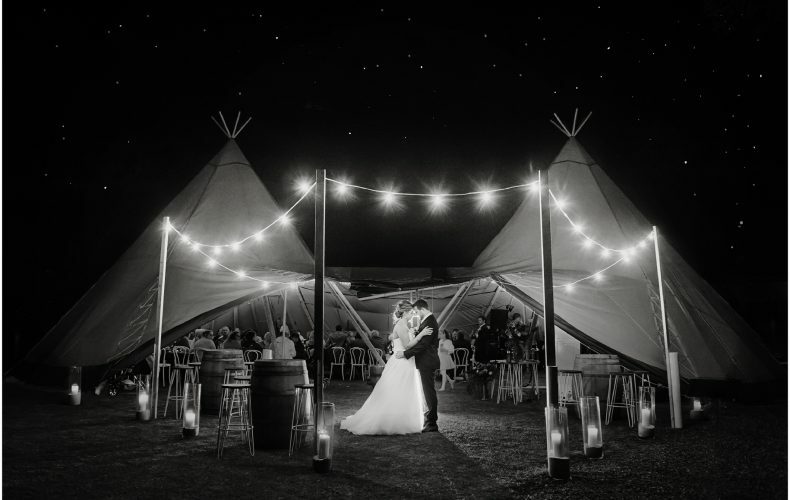 4 – Create a focal point – most wedding receptions have a specific area that shows off proudly as being the ‘front of the room’ or the focal point – it could be large floor to ceiling windows, or a spectacular design feature that draws the eye. Replicate this idea at your outdoor ceremony perhaps using an arbour behind your bridal table, or create a wow feature by decorating a tree in stunning hanging candle and flower arrangements. 5 – LIGHTING – you’ll need lots of it, but make it soft. 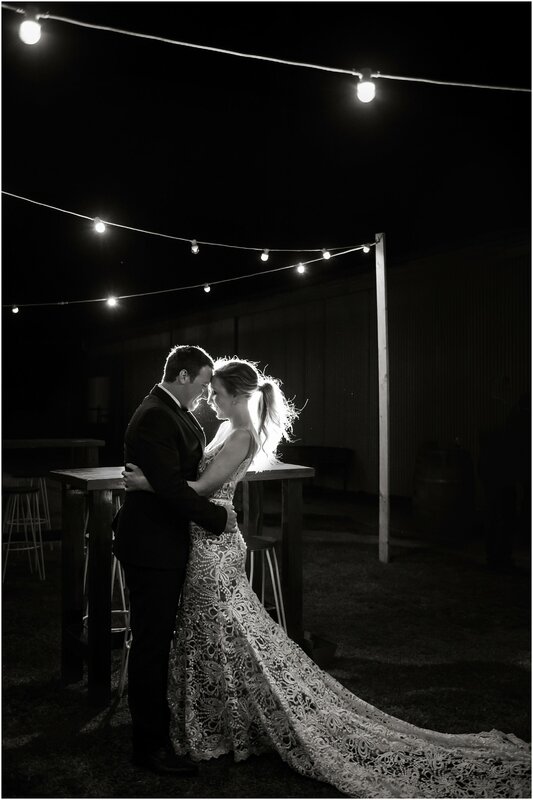 Drape golden glowing fairy lights everywhere – if possible string them from one side of your reception area to the other a million times over to create a ceiling like a blanket of stars that you could reach out and touch! Lounge type areas with tall lamps look effortlessly cool, and paper lanterns offer lots of light potential while up lighting on trees or tall features are stunning. Just make sure you haven’t got a light that shines directly at your guests so they aren’t blinded by anything but your love at the party! 6 – The logistics – choose your location wisely. 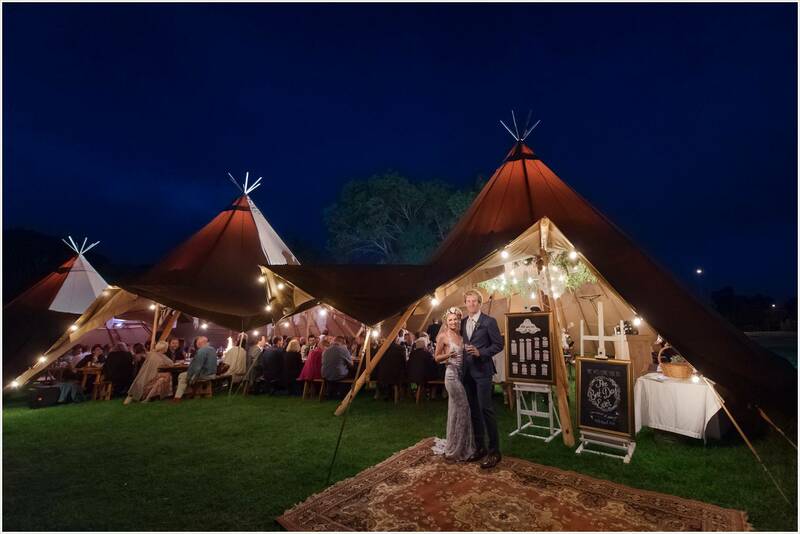 A wedding venue that has garden or winery spaces for outside receptions means you won’t have to think about hiring and bringing in things like tables, kitchen set ups, chairs, portaloos (ick) or marquees, as all bases are covered. Not only will you have a back up building for Plan B but it will take a lot less money and set up than a spot in the middle of nowhere where you need to bring everything (including the kitchen sink). 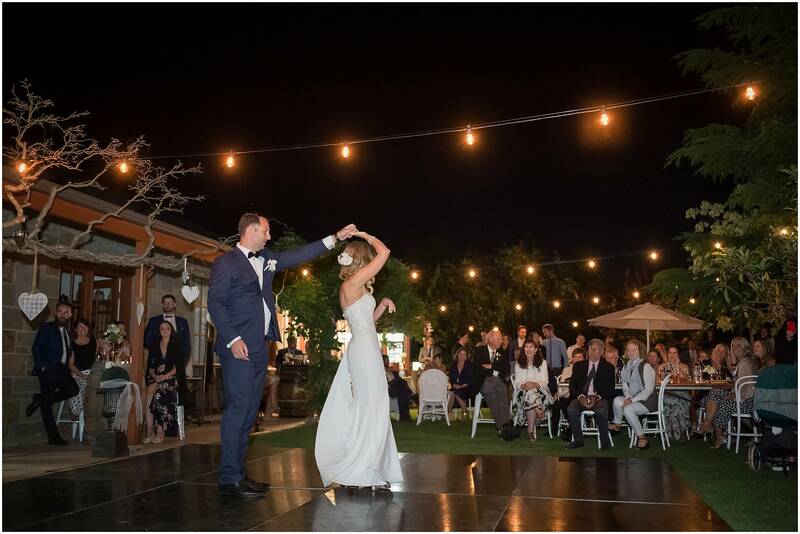 7 – Think outside the square – you’re already going against the grain of a traditional wedding reception, so why not play it up? Scatter picnic rugs for guests to enjoy finger food on, have an elaborate drink and desserts station, bring the indoors out with a lounge suite, coffee table and lamps, or set up an outdoor cinema to show off photos of the big day so far! 8 – Can you hear me? Make sure that your location isn’t a noisy one and that you’ve got plenty of audio equipment to make sure all speeches and music can be heard. 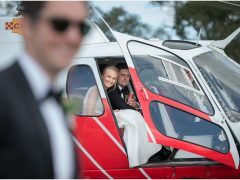 9 – Take professional advice – if the people you’ve hired to be involved in your wedding have an idea of advice for you, take it on board; it’s likely that they know what they are talking about and the hassles you might face having an outdoor wedding reception. 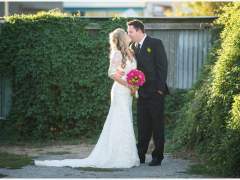 For example, they might suggest having an earlier ceremony and reception, or starting the party first and getting married as the sun goes down. 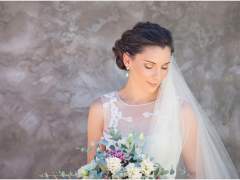 10 – Embrace it – if you’ve chosen a summer wedding, let it be summer, put on some sandals under your dress, let him roll up his sleeves and wear havis, or if you’ve chosen spring or autumn, get a few ‘nanna rugs’ to cuddle up under as the sun goes down. If you embrace the weather conditions and have fun with them instead of fight them, it’s going to be one heck of a celebration! While we continue to dream of photographing outdoor wedding receptions under a blanket of fairy light stars, we hope these tips will help you to plan your dream wedding reception.